Remember my interpretation of spring in my Freshwater Pearl Handmade Necklace design through the Artbead's blogging program? Well, they created a Beauty of Spring design gallery on Facebook to showcase the many fabulous designs from other blogging partners. At last count there was 129 inspiring photos and I was flattered to have my jewelry design showcased as the album cover! Thanks Artbeads! The various interpretations were quite fascinating and if you click on the individual photos, you'll be shown a link to the artisan's original blog post about their design. 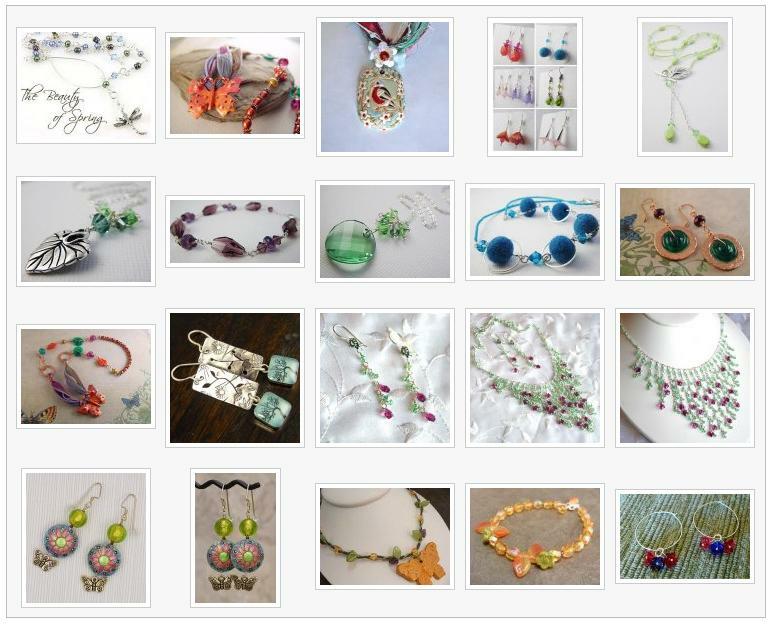 As you might suspect, the theme of spring produced elements of butterflies, birds, flowers and more mixed with various techniques that included, beading, wire-work and beadweaving. Oh wow! How cool is that?! Congratulations! That was a gorgeously feminine design! wonderful jewelries...lovely indeed! thanks for sharing.